Jason Mraz returns. Bangkok, he’s yours! A six-date Asia Tour will reunite the singer/songwriter, Jason Mraz with his hungry music fans in Thailand. After smashing his Thai debut back in 2012, Jason Mraz returns to headline live in Bangkok. A six-date Asia Tour will reunite the singer and songwriter, Jason Mraz with his hungry music fans in Thailand. After smashing his Thai debut back in 2012, Jason Mraz returns to headline live in Bangkok following his last concert here in 2015. Jason enjoys a massive following in Asia, and we can’t wait to welcome him back to Thailand. The Jason Mraz ‘Good Vibes’ tour is currently touring internationally and will bring Mraz back to Bangkok in May. Jason attracts such a large fanbase through appreciation of his sweet, melodic, singalong pop. With his last Bangkok gig being strictly acoustic, he is back with a full band and an evening that promises ‘Good Vibes’ and sing-along fun. Fans can expect to hear classic feel-good hits such as ‘I’m Yours’, ‘Lucky’ and ‘Love Someone’, amongst a fantastic setlist of singles and celebrated album tracks. The singer heads to Asia from his base of California where his stylistic, laid-back folk hits are created. The artist is commended for his abilities in genre-bending and incorporates hip-hop, funk and soft rock elements into his album tracks. 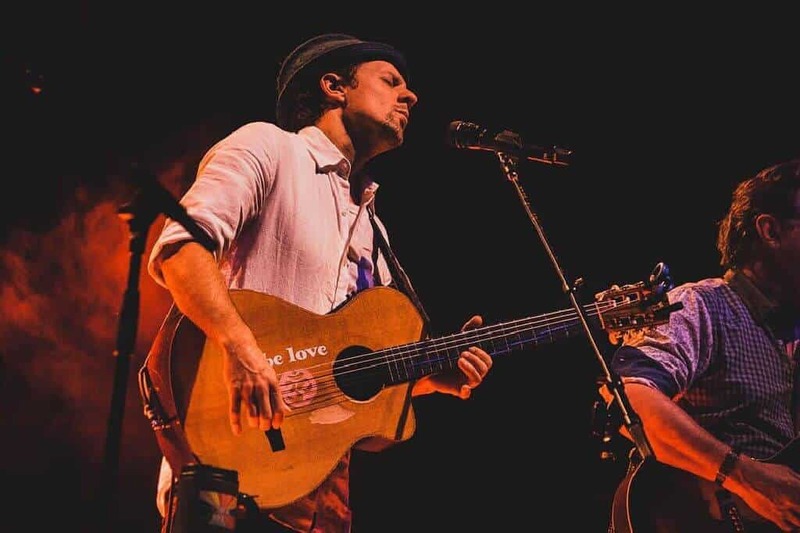 Kicking off his career back in 2002, Mraz has proven himself as a pop hero with dynamic talent, coming a long way from his busking days that preceded his successful pop career. The Jason Mraz, Good Vibes tour, follows his ‘Know’ album release in August of 2018 and we can’t wait to have him back live in Bangkok! Ed, Tom Odell AND Jason Mraz? 2019 is singer/songwriter heaven! The Jason Mraz announcement brings the international singer/songwriter hattrick for Thailand as he joins Ed Sheeran and Tom Odell who will also enjoy live in Bangkok shows in 2019. Big fans of Jason Mraz will remember ‘Raining Jane’ who joined him on his last Bangkok date and the LA female foursome will rejoin him for the Good Vibes Tour 2019. The show follows dates in various areas of Asia and will bring his colourful and positive energy to the Impact Arena Bangkok on May 21. Tickets To be Announced.